Census records are one of the fundamental record sets that genealogists, both beginner and experienced, use for family history research. The U.S. Federal Census is taken every 10 years and may contain detailed personal information about your ancestor and their family members. Beyond personal information such as the location of where your ancestor lived, age, marital status and race, a census record may provide you with the language spoken, country of origin and any military participation. In addition to the Federal Census, many states performed a census on the fifth year between the Federal Census. Knowing what census information is available for the time frame and location you are researching can lead to additional, valuable details, such as on an agricultural census. 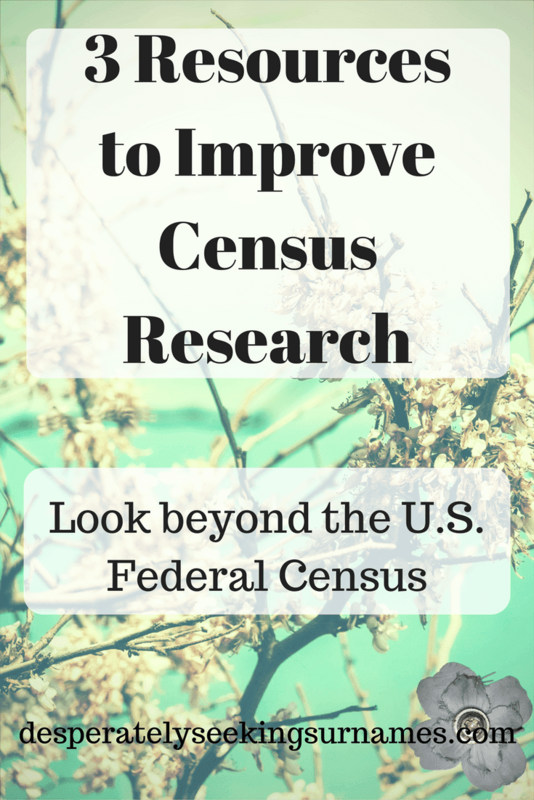 The U.S. Federal Census should be your first step, but it shouldn't be your only step in census research. I've selected three resources that provide greater detail into the census overall as well as more specific information in the 1910 census and information on those other census records we might not immediately think to review. This is an overview post, containing background on the census as well as some pro tips to maximize your searching. Not all census are created equal. This post details the information available specific to the 1910 census. If you are unable to find your person(s) in the U.S. Federal Census, consider the options covered in this post. 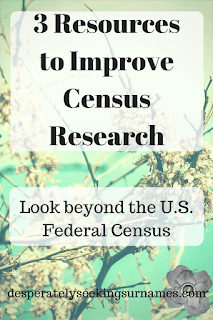 These 3 posts are just a start to get your census research moving forward to begin seeing the results you need to move your research forward. Pin this post for later with this image.